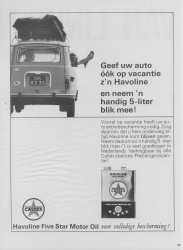 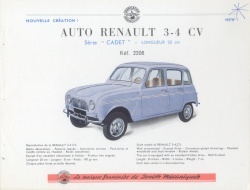 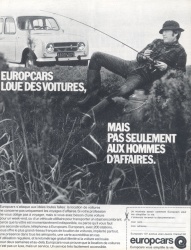 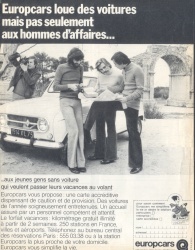 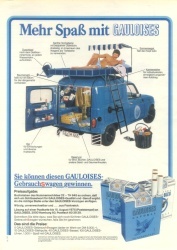 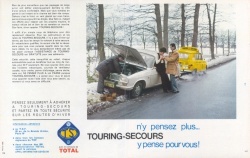 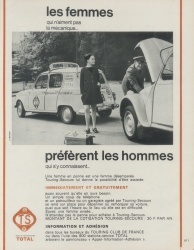 Other brands have tried to take advantage of the reputation of the 4L by using it prominently in their own advertisements, sometimes jointly with Renault. 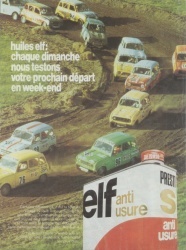 Surprisingly, not only car-related brands like Shell, Elf and Havoline (lubrificants), Goodyear, Europcars and O.R. 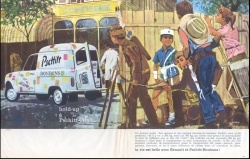 (I believe a car insurance company) did this, but also a seller of sweets and beverages like Pschitt, and Philips and Schneider (radio and television). 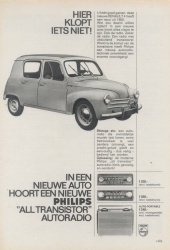 And, as can be expected, there are two by Joustra and Dinky Toys ('Already as dinky toy - the new Renault 4L'). 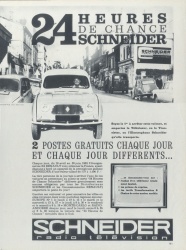 This page is not exhaustive; all third party pub can be found on the third party pub selection page. 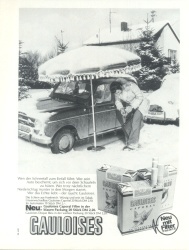 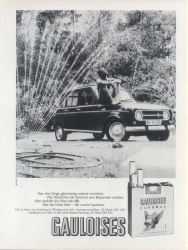 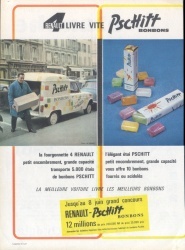 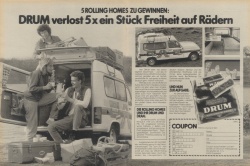 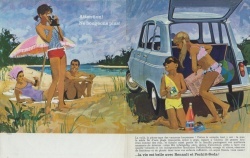 Following are a set of four joint advertisements of Pschitt beverages and sweets with Renault. 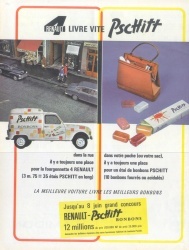 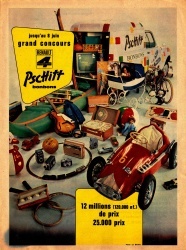 Pschitt ran an advertising campaign jointly with Renault.